In ninth grade (a time that seems eons ago..), I wrote a report on Japanese Internment camps, since the topic completely fascinated me. This was at a time, where history lessons were becoming increasingly more divisive, thus featuring more critical thought and response as a result. Most of my education has always been divisive, meaning I was never taught to have blind adulation for every action of the American government. In a country where some school districts bowdlerize such contentious content-thus detracting from the illusion of America and any country being preeminently infallible- to ensure students are not being educated about the thorny, slippery side of facts, but instead are being instructed to hold a unreasonably idyllic grasp of something much more complicated. Some history textbooks, when dealing with issues like japanese internment camps, might exaggerate the statistics of just how many Japanese-Americans were truly spies, which was the facile statistic (an overblown statistic) that became the most dominant thing to defend interning a whole group of American citizens, based purely on ingrained racism. 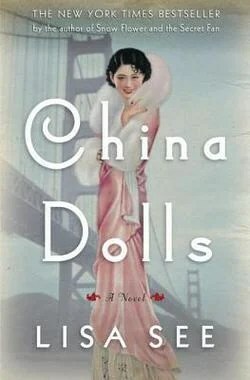 Lisa See’s China Dolls is a very adeptly written portrait of the lives of various Asian American women, during the years of World War II, and we are given very interesting portraits of three women, each representing different backgrounds, lifestyles, and such of three otherwise forgotten individuals during this time. China Dolls,much like my ninth grade research paper about japanese internment camps, is a book that will, no doubt, enrich your view of the lives of the many culturally diverse people during the time of the war. Throughout the story, the change taking place in the lives of these three women in the book-each of who have their own respective chapters- is shown gradually, through their exciting entertainment and music careers. Before reading this book, I had no idea about the wide world of musical entertainment, or musical talent being seen in the Asian American communities in San Francisco, and beyond, at the time of World War II America. These were things, much like Japanese Internment Camps, hidden away somewhere in some obscure footnote in a history book. Drawing on the controversies and nuances of how Asian Americans were treated during World War II along with the many diverse contributions to the war effort, Lisa See excels best, when she is showing these different fragmental looks into the lives and customs of this very complex, and important part of our country’s beautiful mosaic of cultural history. In History classes, we never hear about how Japanese Americans, were always seen as suspect during the time of World War II, and this racism, once hidden before the war, erupts and is given more strength and cruel power, when people grasp an ongoing war, as fuel for the marginalization and racist treatment of others. We are given a very powerful portrayal of just how deep-seated this form of racism can be, when we are shown Ruby’s story,a Japanese-American woman, in the story, who is a brilliant dancer, yet sees her musical career and reputation slowly become unraveled, after the attack on Pearl Harbor, where Americans become increasingly more paranoid that their own citizens may be their enemies. Through Ruby, we’ll see the distrust of Japanese was not only something that white or caucasian Americans, but many Chinese-Americans have had a long-history of suspicion and general antipathy towards the Japanese, vice-versa. It is through Ruby’s story, and the story of two other Chinese women, where the reader’s view of racism and its deleterious effects on friendship and empathy. It becomes crystallized that racism- the ill-treatment of others due to race or cultural differences- may be presented as something reasonable and logical, if we completely hold to propagandist views. Yet, it never truly helps any war effort, and instead it becomes part and parcel of the moral corruption of war. China Dolls,on the surface, may seem like it would be an insipid novel, about three Asian American women having the time of their life, as they are given bustling, lively musical careers on the Chinatown nightclub stage, at a time when women have a particularly hard time being able to find jobs or satisfaction in their lives. But, it is Lisa See’s ability to convey how the beautiful concepts of friendship, love, and appreciation of depth of others, show through the slowly unraveling structure of this triumvirate pair of three Asian women, at the time of war, who see their own friendship become besmirched by the suspicion and antagonism that pollutes everything, once the war comes. Sometimes, the descriptions of the musical events, all three of these women are active participants of, can be tiresome and a tad bit exhausting to read. But, the subtle drama unfolding in the lives of these women, and their other relationships in the book, create a deeply engrossing story of the destruction of friendship, love, and empathy between human beings, at the time of war. One story that really pulled at my heart-strings, and even gave me a great lesson on subtle characterization, was the character of Grace, a Chinese woman who hails from the midwest portion of America. We are shown a character, who is really the epitome of the racial minority, who has to sacrifice their culture in effect, to somewhat fit in and adapt to the main culture around them. If you’ve ever studied literary criticism as an English major in college, you know Grace and Helen ( a Chinese woman, born in a traditional family compound or unit, that basically embodies the Confucian ideal of family), are post-colonial foils in a sense, or examples of two divergent types of characters, who are adapt and acclimatize themselves differently to the cultural scene around them. Grace’s story, more than just being a sharp foil with that of Helen, also has a very well-developed story of abuse, and the challenges that abuse brings to one’s already uneasy relationship with their family. Through effective methods of “show, don’t tell,” we are also shown how Grace’s past trauma greatly affects the way she responds differently to many other characters in the novel. These are things that Lisa See never telegraphs with expositional language, but rather shows it through her well-painted actions or ways of interacting with other characters, and this is a sign of very effective writing, because readings can understand the depth of her trauma, without being told it was “traumatic.” And for this reason, her story really moved me, and I still cannot quite shrug what she went through, or stop wrestling over just how differently she may have responded to different circumstances in her life, if that abuse in her past had never happened. Returning to the first mention of my ninth grade research paper about Japanese Internment Camps, this research, like reading China Dolls, can serve as a powerful reminder of how war can paralytically affect our psychological relationship with other people, our neighbors in our own country like the Japanese Americans, all because of the paranoia and complete chaos of war that makes some of our worst chief vices, as human beings, have more power and sway over our actions. It can completely tear apart friendships, and sow deep untrust, even within friendships between three Asian women, whose friendship initially gave them power and verve, but eventually becomes their undoing, as the war collaterally affects the perceptions and morals of everyone around them. While seeming superficial and silly at times with all the melodrama, China Dolls is still a very effectively-written historical novel that really has a very powerful theme and message, that are delivered in this tale with great aplomb and meticulous,realistic historical research. As someone that hasn’t had the chance to read more Asian American literature recently, I look forward to reading more Lisa See books, as they have given me a more dynamic grasp of how World War II affected many different people during the war. More importantly, it shows the unique challenges of different cultural groups at this very tumultuous period in our nation’s history, and all readers have a very important task to make sure to hear and empathize with all these different stories, so that we never let our most important virtues that keep us together become corrupted by distrust,paranoia, and the many other awful games that the war plays on the minds of the unsuspecting. Much like my Japanese Internment paper in ninth grade, books like China Dolls, written by a writer that is Chinese-American, are a very important type of book to add to our reading life. For the last five months, I think almost every single book I read had a character,of a different race relegated to being either a side-kick or a character, by PC obligation, to be just a caricature. So, reading China Dolls, a book focused on the rich, nuanced lives of three Asian American women, was a sharp departure, from most other books that I personally read, and I am so glad that I read this book, and learned to open my mind and heart to other experiences, faced by people from other cultural backgrounds. I loved learning more about just how vibrant the nightclub scene was in Chinatown San Francisco,etc.,so I am thankful that I ended up having to read and review this, when my other guest reviewer declined. In the comment section, I wish to hear about other great Asian-American writers I should read next, and whose works I should potentially read next!! Previous Post Is selling ARCs of a book, before pub. date, considered theft?